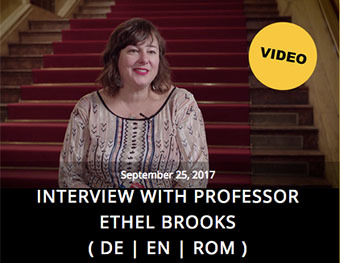 Professor Dr Ethel Brooks is an Associate Professor in the Departments of Women’s and Gender Studies and Sociology at Rutgers University, New Jersey. She has conducted research on an host of sites around the world including London, Istanbul, Fall River, San Salvador, Dhaka and York City. 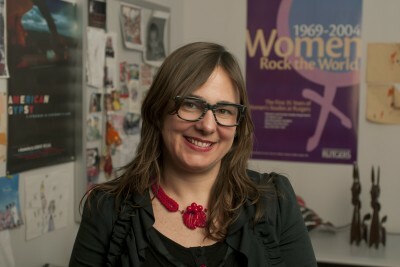 Professor Brooks is the author of “Unraveling the Garment Industry: Transnational Organizing and Women’s Work” (University of Minnesota Press, 2007) which received the award for Outstanding Book for 2010 from the Society for the Study of Social Problems, and the co-editor of the special issue of WSQ on “Activisms”. She has contributed articles to a number of academic journals, including Nevi Sara Kali and International Working Class History, as well as book chapters in “Sweatshop USA: The American Sweatshop in Historical and Global Perspective” (Eds. Daniel A Bender and Richard Greenwald, Routledge, 2003) and “Sociology Confronts the Holocaust: Memories and Identities in Jewish Diasporas” (Eds. Judith Gerson and Diane L. Wolf, Duke University Press, 2007). Professor Brooks is currently working on two book projects: “Disrupting the Nation: Land Tenure, Productivity and the Possibilities of a Romani Post-Coloniality”, and “(Mis)Recognitions and (Un)Acknowledgements: Visualities, Productivities and the Contours of Romani Feminism”, both of which focus on political economy and cultural production and the increasing violence against Romani (Gypsy) citizens worldwide. Her op-eds on the expulsion of Romani people in various European countries have recently appeared on The Guardian. She is also writing an article on “Missing Pakistanis: Gender, Citizenship and the Muslim Everyday” on the limits and possibilities of writing about Pakistanis in the wake of the war on terror.